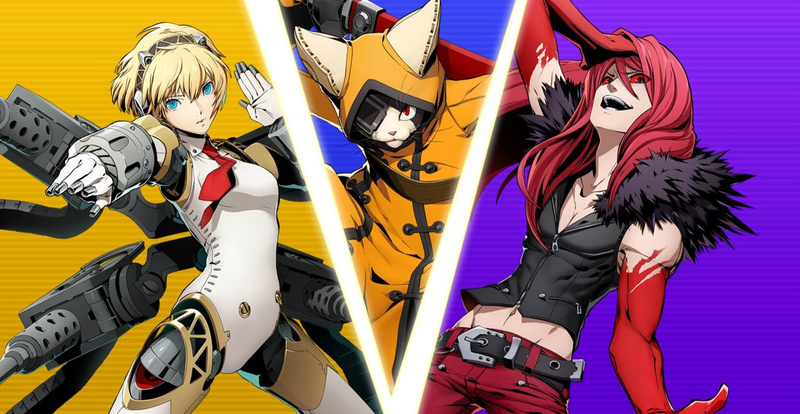 Back in March we finally got news that PQube would be publishing BlazBlue: Cross Tag Battle in Europe, putting an end to fears us 2D fighting fans outside of Japan and North America would be left out in the cold. Well, that nebulous 'summer 2018' release window has finally been whittled down to an actual date - 22nd June! Ta da! If you're new to the series - and to this game in particular - it's a 2D fighter which enables you to pick two characters from the BlazBlue universe along with those from Persona 4 Arena, Under Night In-Birth and RWBY. There's a brand new Story mode, and an updated combat system to make it a little more palatable to newcomers. 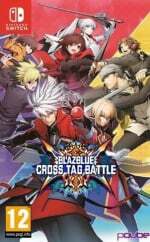 The release date for BLAZBLUE CROSS TAG BATTLE in Europe is June 22nd on PS4 and Switch! The ultimate fighting crossover is almost there! I had not realized how hungry I was for Arc System Works 1-on-1 fighter on the Switch until I got my hands on this. I do hope they wise up and Dragon Ball FighterZ follows next. "The ultimate fighting crossover is almost there! " PQube, as usual, pulls through when ArcSys can't be bothered to. Can't wait for this game, although I should probably first play through the story mode of my copy of UNIEL first so that I know who all those characters are. I tried a couple of fighting games from Arc System Works in the past but the only one I was any good at was Battle Fantasia. 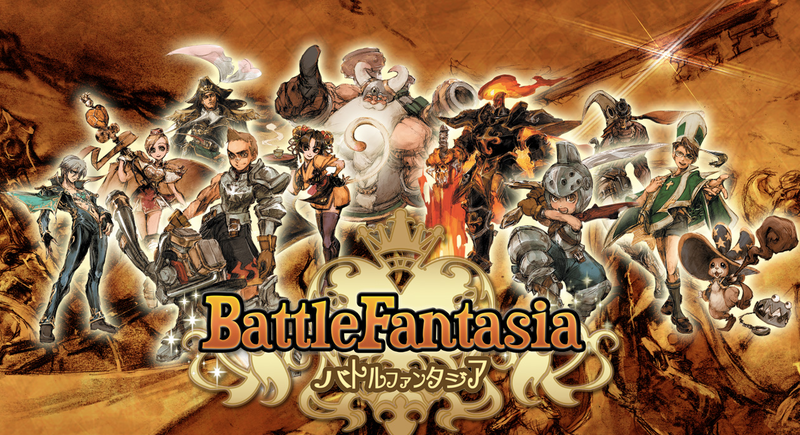 Their games tend to be too complicated for me to enjoy but Battle Fantasia is more like Street Fighter, nice and simple. From the title I was worried for a second the release date of the Switch version got delayed for North America. Have to keep reminding myself this is a European site. Are they still doing that 20 DLC character thing? I haven’t been keeping up with this game. I did try the demo though, I thought it was alright. @shonenjump86 Yes, 20 of the characters are DLC. To be honest though it's not as bad as some people are making it out to be. The game itself is priced cheaper than a typical Switch game and the DLC season pass isn't very expensive. At the end of the day you're just paying about the same price as a regular Switch game. A BlazBlue game on the Switch is like the holy grail of gaming for me. Awesome. Did not expect this one so soon. I'm glad the game is coming out but I'm not planning to get the game soon until all the DLC or the extended edition exist. For those who want a taste of BlazBlue though this is their time but for me I'll wait for Guilty Gear and Street Fighter 30th Anniversary Edition before I get this. I've been playing the demo to pieces...can't wait! @Gungeonite High five for the BF love! I tend to get blank stares when I mention it to others. @Danito This is the first time RBWY characters are being represented in a fighting game, so for that all you can really do to get to know the characters is watch the series. Personally I just watched the trailers for the individual characters a few years ago when they were released on YouTube. If you were to pick one series to try out it should probably be BlazBlue since that has the most characters represented. You can probably pick up one of the old games on Steam for $10 or so. I'd recommend trying Persona 4 Arena Ultimax though as that was my favourite of the 3 fighting games in Cross Tag. You'll need an Xbox 360 or PS3 for that though. If you reaoly want to get to know the characters from Persona you should play Persona 4 and maybe Persona 3 since a few of those characters are in the game too. Sounds interesting, though I'd rather have Centralfiction. Or, better yet, an entire Blazblue collection for Switch. I have the previous games on my vita, but not cf. @NinjaWaddleDee It is in NA. This is the European release date. @Dom You might want to update the title to reflect that this is the European release date. The current title combined with that subtitle makes it look like the Switch version of the game got delayed. It's Persona on Switch....kind of! @IceClimbers We're a UK site. I imagine that much is obvious. Oh, PC or Switch... torn. @Dom Certainly not for a first time reader. Of course it's cleared up in the first sentence, but I don't think you should assume that it's that obvious that you're in Europe, especially at first glance. Besides, a release date article is one that some may just read the headline and skip the rest. @Gungeonite not sure if you got to DL the demo, but this game is GREATLY eased down to be accessibke to newcomers... trust me, I love fighting games, but ARC SYSTEM games DO have a tendency to have a HIGH learning curve...that is NOT the case with this game.. as a matter of fact, it's essentially a 2 button game with the 3rd acting as the EX version for attacks. EVERYBODY has a simple QCF/QCB motion for moves and all supers are done the same. There's a FEW advanced techniques, but nothing too difficult to learn!! DID THEY FINALLY ADD JUBEI TO THE ROSTER? If so, INSTA-PURCHASE. Thank you for your response. That sounds neat. Might check it out. I tried the beta, this game was pretty fun so I'll probably pick it up at some point. It definitely won't be a day one purchase though, there's other games I just want more right now. This looks good and I'll probably pick it up but Blade Strangers looks way more exciting. @Danito Persona 3 and 4 are on the PS2. 3 is also on psp and 4 on vita. I loved the demo but I know nothing about the characters or the games/anime they come from... Anyway, I loved the demo and will probably pick this up. I played the demo and liked it so far. Plus I was a huge fan of Persona 4 Arena Ultimax, and Under Night In Birth is pretty solid too. It didn't seem to have too many complex mechanics either, and I was even able to pull off the special moves on the Joy-Con d-pad. I think this one is going to turn out well.